Christina Olsen takes over as director of the Williams College Museum of Art on May 1. Williams College today announced the appointment of Christina Olsen as the Class of 1956 Director of the Williams College Museum of Art (WCMA). Olsen is currently the director of education and public programs at the Portland Art Museum and previously worked at the Getty Foundation and Getty Museum. Olsen, who will begin her appointment on May 1, comes to WCMA with extensive experience in public programming, community outreach, and the incorporation of new technologies into the museum experience. Trained as a Renaissance scholar, Olsen has established a record of creating highly innovative curatorial and educational projects by working to deepen existing audience participation and broaden the scope of her audiences. "I'm excited to work with the Williams College Museum of Art's impressive staff to build on the museum's prestigious legacy and outstanding collection, and to expand its role as a vital center and resource for the college's faculty, staff, and students, and for the community," said Olsen. Olsen was selected after a six-month national search by a search committee composed of Williams faculty, students, alumni, and staff. The search committee was aided by the firm Heidrick & Struggles, with the assistance of Principal Naree Viner '89. Williams President Adam Falk, in expressing his enthusiasm about the appointment, cited Olsen's 11 years at the Getty Foundation and Museum and said, "The Getty ... is a place where the future of museums is being worked out, and Tina participated deeply in that process. The college will benefit from her energy, openness, and passion both for art objects and for how people interact with them." Deborah Marrow, Director of the Getty Foundation, added "Tina Olsen was a star at the Getty. She led an initiative that brought together a group of museums to create models for online collection catalogues. She is a leader in thinking about how museums can best reach their audiences, both professional and public, in the 21st century." WCMA is a teaching museum founded in 1929. Its principle mission is to encourage multidisciplinary teaching through encounters with art objects that traverse time periods and cultures. "College art museums," said Olsen, "have such a unique opportunity to explore new artistic, learning, and teaching practices, and to foster dialogue and exchange between disciplines, communities, and points of view." Of her work at the Portland Art Museum, executive director Brian Ferriso said, "Tina’s creative initiatives and significant accomplishments have brought new perspectives on and conversations about our celebrated exhibitions and collections, and have helped the museum grow and diversify its audiences." Olsen's key accomplishments at the Portland Art Museum include curating Object Stories, an installation, public participation, and outreach initiative that significantly reframed the public's experience and understanding of the museum; and Shine a Light, a museum-wide program developed in collaboration with Portland State University's Social Practice MFA Program that includes an annual event and year-round artist residency at the museum. Katy Kline, who has been serving as WCMA's interim director since Lisa Corrin stepped down at the end of June 2011, will continue her stewardship of the museum until Olsen's arrival in May. Christina Olsen has been the director of education and public programs at the Portland Art Museum in Oregon since 2008. She was formerly a program officer at the Getty Foundation (2005-2008), where she oversaw the Foundation's worldwide grants to museums and archives for scholarly catalogs and publications, archives, and interpretation, and launched an international initiative centered on developing prototypes for online scholarly catalogs for museums (the Online Scholarly Cataloguing Initiative). Prior to that she worked at the Getty Museum and the San Francisco Museum of Modern Art. Olsen has lectured and published on a wide range of topics, including secular painting in Quattrocento Florence, the rise of the tarot card deck, museum interpretation, and new social and pedagogical practices in museums. 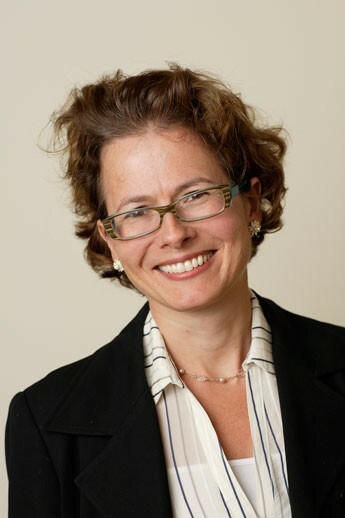 Olsen has served on advisory panels for the Kress Foundation, the Getty Foundation, the Right Brain Initiative, and the Creative Advocacy Network, and as a review panelist for the National Endowment for the Humanities, the Institute for Museum and Library Services, and the Association of Art Museums. In 2011 she completed the Museum Leadership Institute program at the Getty Leadership Institute. "I went to school with Tina, where we both specialized in the North Italian Renaissance. I think she studied with Paul Watson, while I studied with Leo Steinberg. Glad to see she's on board with WCMA. This PENN-Williams connection goes back to Sam Edgerton."